To be let down, especially with planted expectations, is disconcerting as well as disappointing. 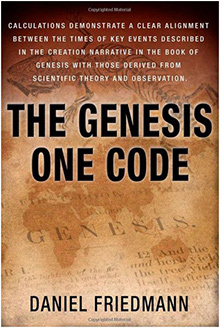 gmail.com (PR Firm) notified us that their book The Genesis One Code spotlights the clash between science and religion on the subject of evolution and The Big Bang. The goal, they state, is to open civil dialogue between the two points of view for a greater understanding of the subject as a whole. In other words, the author, an unbiased scientist, takes no sides. In those stories the point was made that the bullheadedness on the part of theologians and scientists has retarded concise answers of origins from all angles. The book's author, Daniel Friedman, states: "Calculations demonstrate a clear alignment between the times of key events described in the creation narrative in the book of Genesis with those derived from scientific theory and observation. " The statement about 'aligning times of the creation with science' should in itself have waved a red flag. These two, science and religion,would and have faced difficulty trying to blend. Especially with a time line the author bases on: "Human time" or 'Divine Time." News Flash! Human time IS Divine time. Time came into existence by God when He created the earth. The most absurd reference of all, in order to justify the billion year history of fossil remains, is based on...now get this..."the fossils have their own nuclear clock which verifies their billions of years history," (page 41) which of course puts it all in perspective. Author Daniel Friedman writes the book totally from his science point of view, with science being factual and Genesis being questionable. It is all so subtle that one must look carefully to catch it. He refers to "THIS HISTORY as it unfolded over the span of 3.5 billion years." as fact. 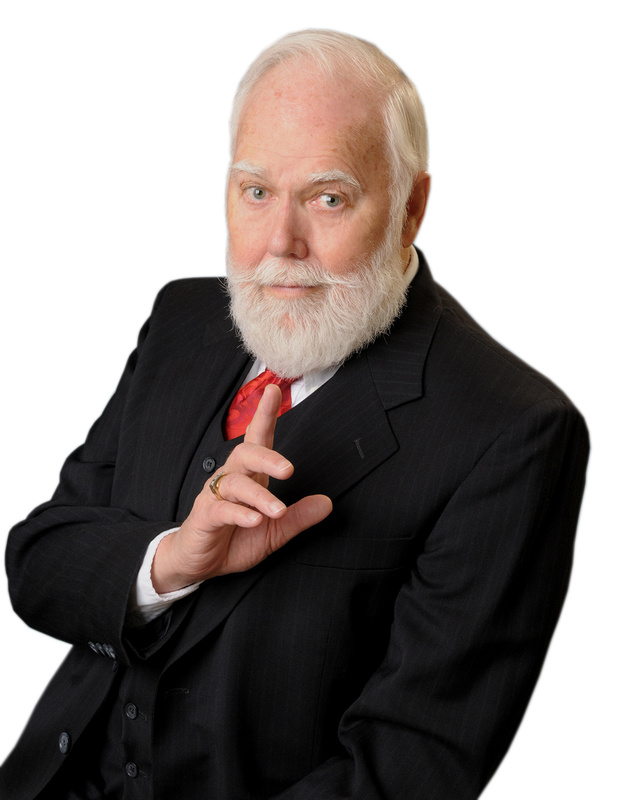 Here's another FACT: "Radiometric dating HAS SHOWN that the earliest known fossils are more than 3.4 billion years old," All of these exercises in judo semantics is an effort to knock out the creation event itself which happened six thousand years ago which in turn knocks out God. All these 'scientific' statements are written as factual..
Friedman refers to interpretation of The Bible's' contextual meaning' based on, "the allegorical meaning," or "the symbolic meaning." But remember, the author is taking no sides but presenting an honest examination of creation. This can be believed as much as the book itself. Friedman, a Jew, has a good grasp of The Torah, is an incredibly gifted academic who writes well, and...cleverly. "I have been left as one existentialist pondering that has prompted me to question my personal beliefs. If Genesis – as the oldest text, a testament that precedes hardened scientific discoveries and most belief systems – is correct, what will this mean for society's belief in God? This book could cause a revolution." Carolyn Lawrence, CEO – Women of Influence Inc.
Ironically, the highlights are not mine, but the author's in order to make his point and inadvertently expose the whole purpose of his book. The first question in history was Satan asking Eve in the garden; "Yea...hath God said that you should not eat of every tree in the garden?" That question brought doubt, then disobedience to God which led to sin which resulted in chaos culminating in death which is now a part of life. All because of a question.. This book, rather than being a sincere discourse raises doubt, which is there for the purpose of virtually sabotaging one's faith. I only got as far as page 67, then would read no more. The message by then was already established loud and clear as boasted by the author on the back cover quote from a misguided woman. So what value is this book for Christians? NONE WHATSOEVER. Nor anyone else seeking honesty and truth. Christians are far better off reading classical Christian books which show unwavering faith and the viewable results of answers to prayer and faith in God, showing totally transformed lives rather than sacrificing valuable time reading destructive cunning literature such as Friedman's book to steer people away from God. A clear and tragic demonstration of misuse of talent. Closing Thought: It is to be noted that Friedman does not refer to dates of history as BC (Before Christ) or AD. (Anno Domini) Not politically Correct. ya know. Instead he uses, CE=Common Era and BCE=Before Common era, a new dating system introduced by BBC in London as "more appropriate for interfaith dialogue." Mainly it was to eliminate any reference to Christianity and in particular, Jesus Christ. This was grabbed by anti-Christ university professors, the media and authors such as Friedman... .